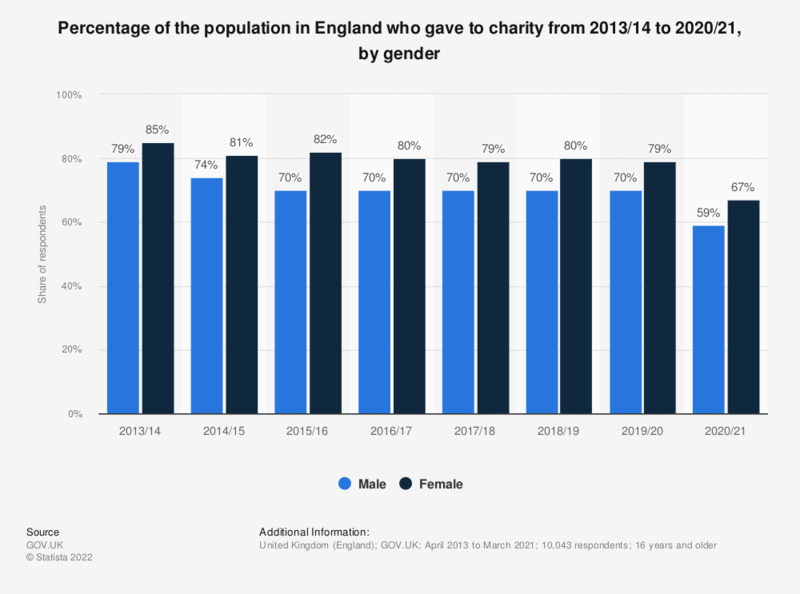 This statistic shows the share of the population who said they gave to charity in the last four weeks from 2008/09 to 2017/18, by gender. Proportionally, more females gave to charity than males in each period detailed here. * Gave to charity in the four weeks prior to interview. Interviews for the latest period were conducted from August 2017 to March 2018. No data available for 2011/2012. What factual information do you consider important to have, before you choose to donate to a charity? What is donating to a charitable organization dependent on: factual information or the feeling about the charity? Do you know or are you familiar with a transgender person?